Southwest Missouri is home to a wide selection of fantastic small towns, perfect for raising a family or just getting out of the hustle and bustle of the bigger cities. If you are looking to buy a house, there are several towns to choose from. One such town is Strafford, Missouri, a town of just over 2,300 people located about 14 miles from Springfield. Not only is Strafford located on a major interstate, making it an ever-growing and expanding site for restaurants and attractions, it is also located on what is possibly the most well-known historic roadway in the United States — Route 66. Packed with historic small town charm, a great school district, and close proximity to everything Springfield has to offer, Strafford is an excellent place to consider when looking to buy a house. Do you work in Springfield but don’t want to raise your family in town? Strafford brings the best of both worlds. Traveling from Springfield to Strafford is as easy as taking a drive down I-44. Easy access to a bigger city while enjoying the charm and quiet of small town life makes Strafford a great place to buy a house. You can easily enjoy the restaurants, shops, and experiences that a metropolitan area like Springfield has to offer while also enjoying the retreat and restful quiet that comes with living in a less populated area. Though Strafford is by no means a bustling metropolis, there are countless ways to get involved in the community and enjoy everything the town has to offer when you choose to buy a house in the area. Strafford has an excellent school district with outstanding academics and fantastic sports, theatre, and music programs. Your children will have plenty of opportunities to get involved and make the most of their time in school. And with the town’s ties to the Historic Route 66, there are a number of festivals and celebrations that happen in the area throughout the year. Restaurants are in no short supply in Strafford. Whether you are looking for a place to pick up something quick and easy after work or are in the mood to enjoy a sit-down meal with your family, you can choose from the several options in town, saving you time from having to drive all the way to Springfield. Ready to buy a house in Strafford? The Dan Holt Team is ready to help! 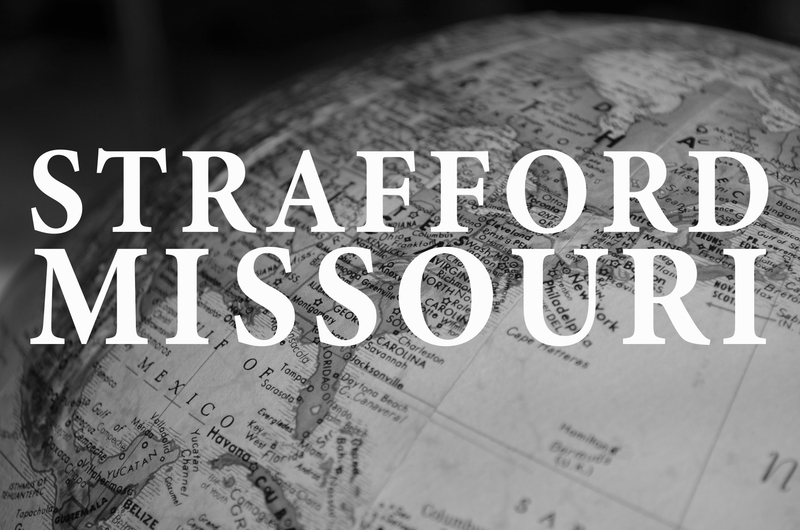 Our real estate team is well-versed in everything southwest Missouri has to offer and will work tirelessly to find you your next dream home, whether it be in Strafford or another town! To get started, browse through the listings available below, or contact our office at 417.447.2782. Click here to view homes available in Strafford.